Kohls has Paw Patrol Slippers featuring Skye and Everett on sale for $5.99, down from $14.99. In addition Kohls is offering an extra 20% off with coupon code FAMILY20, bringing the price down to $4.79. 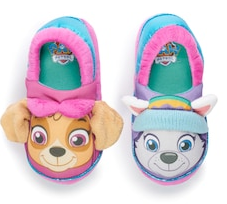 Featuring 3D ears, these girl's Paw Patrol slippers are sure to become an instant favorite.